The Dermlounge is the medical spa of Richmond Aesthetic Surgery, founded by board-certified plastic surgeon Neil J. Zemmel, MD, FACS. The Dermlounge is located within the surgical practice, and we are therefore able to offer you the latest medical-grade skin care treatments and products. Treatments are performed by Rachel M. Duke and our aesthetician, Caitlin Roop. Our aesthetician tailors each treatment to your specific needs. She will formulate a customized treatment plan for your exact needs and skin type to achieve the best skin care results possible. Your concerns will be addressed with a thorough skin analysis, followed by a review of your current skin care routine and products. We will create a recommended treatment plan to provide lasting results long after you leave our office. 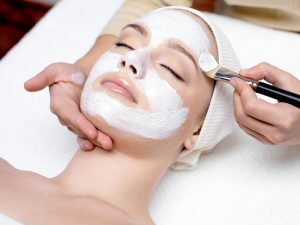 Facials are used to cleanse and nourish the skin for a healthier, glowing complexion. This non-invasive skin care treatment is a popular way to give the skin a boost, helping remove dull skin cells and hydrate the skin for a younger-looking facial appearance. At the Dermlounge, we offer facials for every skin type to address a variety of skin concerns, such as treating acne and diminishing signs of aging. Our aesthetician will perform an in-depth skin analysis followed by an evaluation of your current skin care routine and products. Based on this information, a treatment plan will be tailored to your unique goals and desires, helping you revitalize your skin for a more refreshed complexion. Micropeels at the Dermlounge are considered safe and gentle for all skin types. They are designed to improve a variety of skin concerns, including rough or dull skin texture, sun damage, acne, and fine lines and wrinkles. Performed by our experienced aesthetician, micropeels result in little to no downtime, allowing patients to resume their daily activities with minimal interruption. Only mild peeling and redness typically occur after treatment. To provide more extensive exfoliation, you can opt to add the dermaplaning treatment to any of our micropeels. Chemical peels are a safe and effective treatment used to improve skin tone, texture, and irregular pigmentation. Chemical peels also will cause deep exfoliation, oil control, improve acne, sun damage, environmental damage, and signs of aging. Some peels may result in little to no skin peel, while others result in mild to moderate peeling. 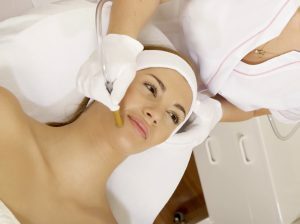 To achieve optimal results, a series of peels are recommended. With meticulous attention, our aesthetician will evaluate, educate and guide you to the right treatment for healthy, vibrant skin. Known as the “wedding day peel”, this chemical peel is appropriate for first-time, patients with mild skin imperfections or patients that are looking for brighter, more radiant skin with no downtime. It is appropriate for all skin types and can be received every two weeks until desired results are achieved. Results are cumulative and optimal benefits are seen with a series of three or more peels. An excellent chemical peel for environmentally damaged and acne skin. This peel contains salicylic and lactic acids to reduce the appearance of skin imperfections while enhancing collagen production. Noticeable results in one treatment, a series of 3-6 treatments recommended for optimal results. Results in 2-5 days of mild to moderate peeling and redness. This peel is similar, but a little stronger than the Vitalize Peel. An advanced formulation of exfoliating agents that penetrate the deeper layers of the skin to reveal fresher, healthier skin. Noticeable results in one treatment, a series of 3-6 treatments recommended for optimal results. Requires at least one previous SkinMedica Vitalize peel to determine candidacy for this peel. Results in 2-5 days of moderate peeling and redness. This chemical peel is a powerful, innovative formula of TCA, Retin-A, Salicylic, Phenol, and Vitamin C. This unique blend produces amazing results for improving skin tone & texture, hyperpigmentation, melasma, reduces acne scarring, reduces appearance of pores, while stimulating collagen growth and elastin production. Results in 2-5 days of moderate peeling and redness. See our skin care specialists to determine which Vi peel is best for your skin. All of these items may be performed alone or added to other med spa services. Our aesthetician will provide you with more information during your consultation and treatments. “Smooth as a baby’s bottom” – This physical form of exfoliation removes dead skin cells and fine facial hair. You will be able to feel the difference in your skin immediately. Facial waxing is available for our patients during any facial treatment. We use a high quality wax that is gentle on the skin, yet highly effective in removing hair. Brows, Lip and Chin are treated upon request. Establishing and following a skin care regimen is an important part of maintaining the health and appearance of your skin. Our team at the Dermlounge offers professional-grade skin care products to help you achieve and maintain beautiful, glowing skin. Since these products are formulated with a higher dosage of certain ingredients, they are only allowed to be sold through authorized physicians, to ensure safe and effective product use. Our aesthetician and nurse practitioner will work with you to create a custom skin care plan to help you obtain a healthier, more youthful complexion. To learn about our advanced options, read through the sections below. LATISSE is a prescription solution that is applied to the upper lash line to stimulate the growth of longer, thicker eyelashes. This FDA-approved treatment is believed to work by increasing the number of hairs in the active growth phase, creating thicker eyelashes. With nightly application for several weeks, patients can begin to see the fuller, darker eyelashes they desire. In addition to the brand’s line of chemical peels, as detailed above, SkinMedica offers a popular collection of skin care products. This includes a variety of moisturizers, serums, cleansers, and more that have been designed to prevent and treat a wide range of skin concerns—from wrinkles and age spots to acne and discoloration. When used regularly, men and women can often achieve noticeable improvement in the tone and texture of their skin. ZO Skin Health by Dr. Zein Obagi is an innovative skin therapy system that is specially designed to promote healthy skin for life. The comprehensive product line utilizes concentrated and proven ingredients to ensure effective treatments for a variety of skin conditions. These science-driven formulas include solutions for oily skin, acne, discoloration, dull skin, signs of aging, and much more. Learn more about ZO Skin Health. For more information on our Skin Care Services, or to schedule a consultation at Dermlounge, please contact us today.